The Americans of Japanese Ancestry WWII Memorial Alliance, Japanese American Korean War Veterans, Japanese American Vietnam Veterans Memorial Committee and Veterans Memorial Court Alliance announced that on Saturday, May 26, at 11 a.m., the annual Memorial Day service to honor all Japanese Americans who gave their lives in our nation’s wars will be held adjacent to the Japanese American National War Memorial Court at the Japanese American Cultural and Community Center, 244 S. San Pedro St. in Little Tokyo. 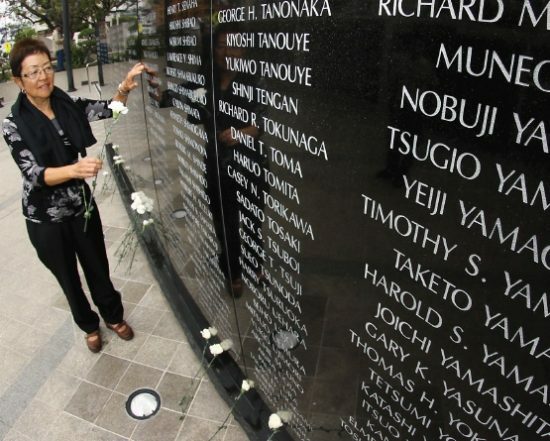 Our community and nation are forever indebted to these Japanese Americans from all wars, whose names are engraved on the four monuments in the Memorial Court, for their supreme sacrifices for the United States. Keynote speaker will be Quang Nguyen, who as a six-year-old child in Vietnam survived the Tet Offensive in 1968. He emigrated to the U.S. at the age of 13 and, after much studying, became a U.S. citizen at the age of 20. His speech is entitled “What It Means to Be an American.” All are encouraged, especially Vietnam veterans, to hear what he has to say. The emcee will be Helen Ota, JACCC director of donor engagement and special events. Singing the national anthem and “God Bless America” will be former Nisei Week Princess Aimee Machida Angeles from the Grateful Crane Ensemble. Also participating will be representatives from the many veteran and community organizations throughout the Southern California area. Koyasan Buddhist Temple’s Boy Scout Troop 379 and the Redondo Union High School Marine Corps Jr. ROTC will again perform the uniformed ceremonies of the service. Representatives from the Buddhist and Christian faiths will offer prayers to these brave men. Fellow veterans, active-duty personnel and all members of the community are invited to remember and honor our heroes, who gave their precious lives on our behalf. If you have any other questions about the services, contact Hayashi, Miyoshi or Sam Shimoguchi, (310) 822-6688. Everyone invited to attend one or more of these services.